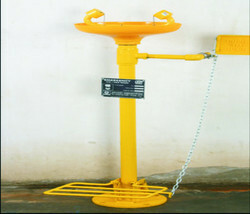 Manufacturer of a wide range of products which include eye wash safety showers. Manufactured as per the set industrial norms and guidelines, the offered Eye Wash Safety Showers quality never diminishes. Looking for Eye Wash Safety Showers ?